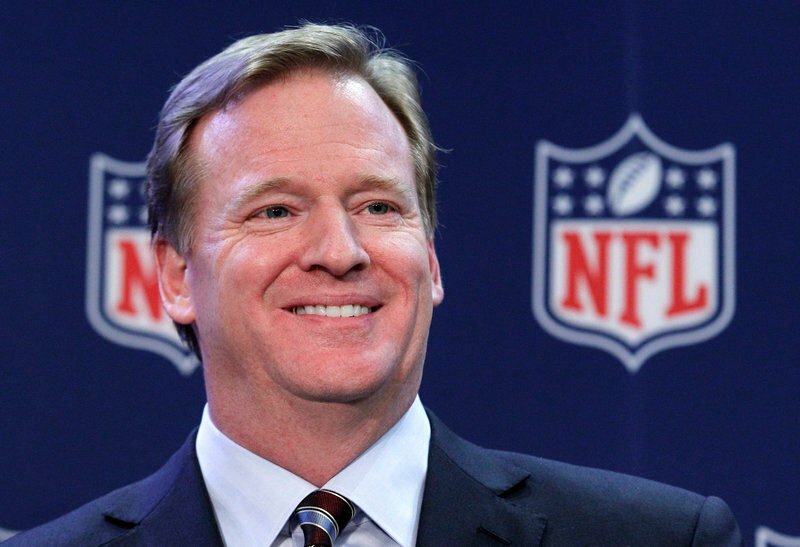 The NFL commissioner says the league has to respect the rights of protesters. Oakland Raiders running back Marshawn Lynch sat on a cooler during the anthem Saturday night on the field at University of Phoenix Stadium. Los Angeles Rams defensive end Robert Quinn raised a first before his team’s game. “Protest to progress is what I call it, and we all have to recognize that if we want to see change, let’s go out and try to make that change happen in a peaceful and important way,” Goodell said. Olson, who described himself as a season-ticket holder “since Day 1,” said the commissioner “beat around the bush” on the issue. He said he’d like Goodell to take a tougher stance.